I’m a big advocate of teachers and administrators call parents when kids are doing well — not just when there’s a problem. You can read a post I’ve written titled “Mr. 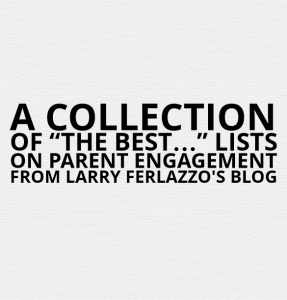 Ferlazzo, I Need My Post-It, Too” to give you one example of the enormous impact a call like that can have on a family. 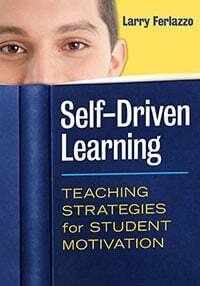 Another great example can be found in Chris Wejr’s post over at Connected Principals. It’s titled Power of Positivity: The Friday 5. He tells about an effort that he and his vice principal make to call five parents each Friday with positive news. He includes a wonderful “transcript” of one. Thank you for highlighting this neglected issue! AS a teacher of special ed. i know that focusing on the positive can lead to many positive outcomes! My sons are teenagers now, and my daughter is 29 years old. Elementary and middle schools started making these sorts of phone calls home to me when my daughter was in elementary school. I’m glad it works for some parents, but to me, it was a worthless exercise. My kid is on the list to get a call home praising them. Who cares? I really hated these calls. The example you linked to might be slightly better than the others since it was so specific about the kids’ performance, but in general, I find these calls useless.